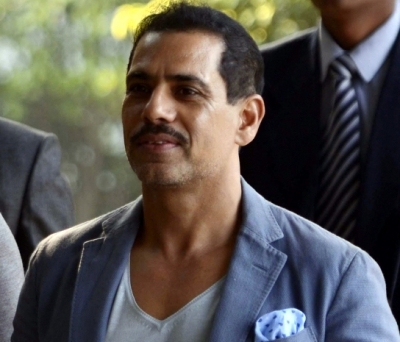 According to the ED, which is investigating a web of controversial land transactions in Bikaner allegedly involving Vadra's company Skylight Hospitality LLP, is believed to have collected documents pertaining to the purchase and sale of land in the border town. After the Centre's announcement, Vadra's land value located near power sub-stations skyrocketed. And the land bought by the state government had practically no takers because most of it was not close enough for easy grid connections. An ED official said Vadra's Skylight Hospitality bought this plot in Kolayat in March 2010. And two years later, in May 2012, it sold off 29.36 hectares of land in Kolayat for nearly Rs 2 crore to a French joint venture without adding any value to it. Nagar is the person who links Vadra's company with the person named Ashok Kumar who was named in the chargesheet filed by the Rajasthan Police in the case. The ED has been probing the alleged scam in the purchase of land in Kolayat area in the border town of Bikaner in Rajasthan which was meant for those displaced due to the Army's field firing range. The agency had earlier issued notices to Skylight Hospitality but had not mentioned Vadra's name or any company linked to him in its FIR. According to the ED, during investigation it found that Allegeny Finlease as a company was "not involved" in any "real business activities" and many of its shareholders were found to be dummy or non-existent. Revenue officials had said in the complaint that government land in 34 villages of Bikaner that was meant to be used for expanding the Army's firing range was "grabbed" by the land mafia by preparing "forged and fabricated documents" in connivance with government officials.